The mitochondria are the powerhouses of the cells. They convert food into a type of energy called ATP. Up to 95% of the energy that the body uses is ATP. That’s why making sure that you have healthy mitochondria cannot only help your cells perform effectively but also help increase the energy output of the mitochondria - leaving you both energized and revitalized. 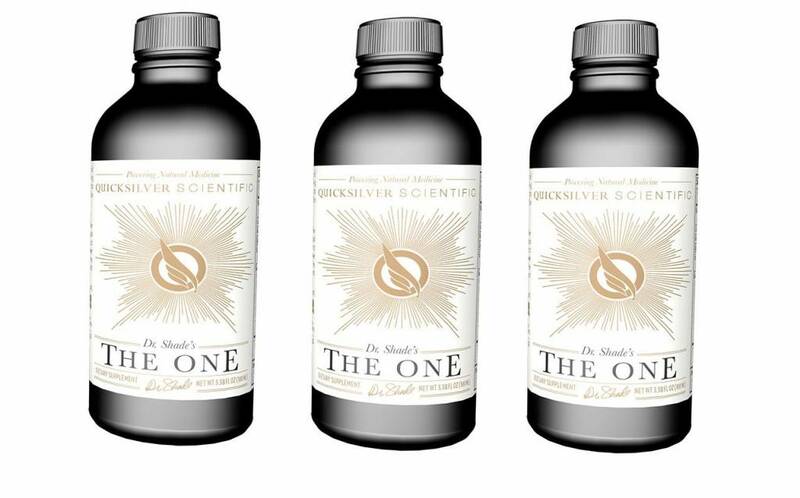 The One® from Quicksilver Scientific contains a proprietary herbal formula in liposomal form. It contains CoQ10 (Coenzyme Q10), Pyrroloquinoline Quinone (PQQ), resveratrol, and DeltaGOLD® tocotrienols which can all help protect and promote healthy mitochondria. In turn, this increases the energy output of them and helps increase mitochondrial biogenesis, which is the natural formation of new mitochondria. 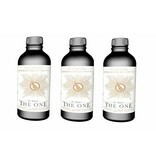 Moreover, The One® also contains a mix of adaptogenic herbs which supports the body’s response to stress and sudden high demands of energy, like when one has to perform physically. The nutrients in this product are delivered using the patented liposomal delivery system called Quicksilver Delivery Systems™ from Quicksilver Scientific. Liposomes are tiny vesicles that contain nutrients. These microscopic spheres are made of lipids - the same material that the cell membranes are made of. When nutrients are delivered this way, they can bypass the cell membrane and deliver nutrients directly inside the cell. This helps to increase bioavailability considerably. Moreover, when nutrients are delivered like this, it simultaneously nourishes the cell membrane and helps the cell absorb nutrients, as well as ridding itself of toxins. PQQ PQQ supports mitochondrial biogenesis - the natural formation of new mitochondria. Moreover, PQQ also helps protect the neurons (brain cells) and also promotes cardiovascular health. Resveratrol Resveratrol stimulates certain pathways that lead to mitochondrial biogenesis. Furthermore, it has also been demonstrated to mimic beneficial caloric restriction effects on the metabolism. CoQ10 (Coenzyme Q10) CoQ10 (Coenzyme Q10) is known as an antioxidant which is particularly suited for protecting mitochondria against free radicals. Such free radicals can break down the cells gradually. By binding to free radicals, CoQ10 (Coenzyme Q10) helps inhibit free radicals from wreaking havoc on the mitochondria. Moreover, CoQ10 also plays a central role in the generation of cellular energy why CoQ10 (Coenzyme Q10) is also a part of this formula. Delta Tocotrienols Delta tocotrienols support the body’s antioxidant levels together with PQQ. They do so, by promoting Nrf2, which regulates cellular antioxidant production. Take 1-2 teaspoons per day. Hold in mouth 30 seconds or more before swallowing. May be mixed into water. Best taken on an empty stomach at least 10 minutes before meals. Other Ingredients: Water, Glycerin, Ethanol, Vitamin E (as Tocofersolan and Natural Mixed Tocopherols), Medium Chain Triglycerides, and Natural Citrus Oils. Take 1 tsp. per day. Hold in mouth for 30 seconds before swallowing. May also be mixed into water. Best taken on an empty stomach at least 10 minutes before meals. Use within 60 days of opening. Refrigerate upon receipt. Do not exceed the recommended daily dose. Keep out of reach of children.